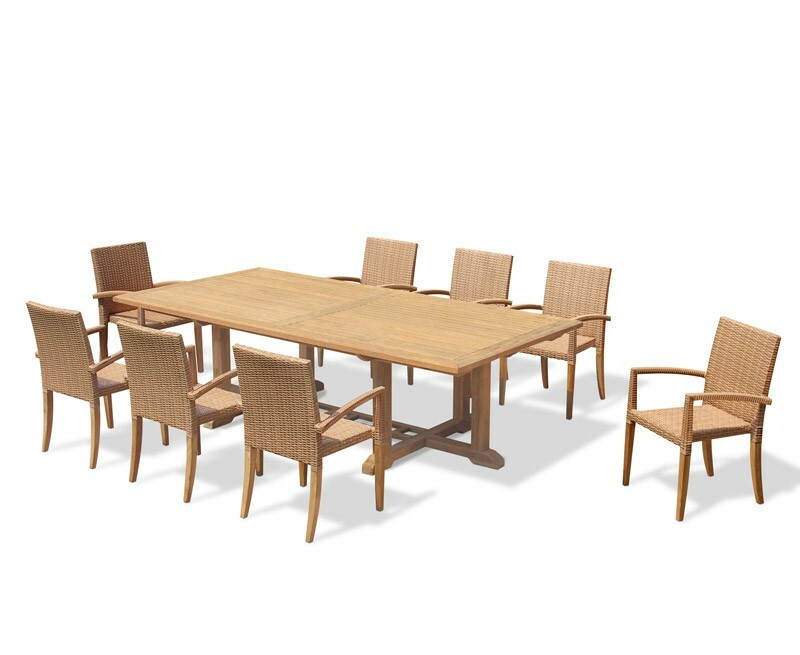 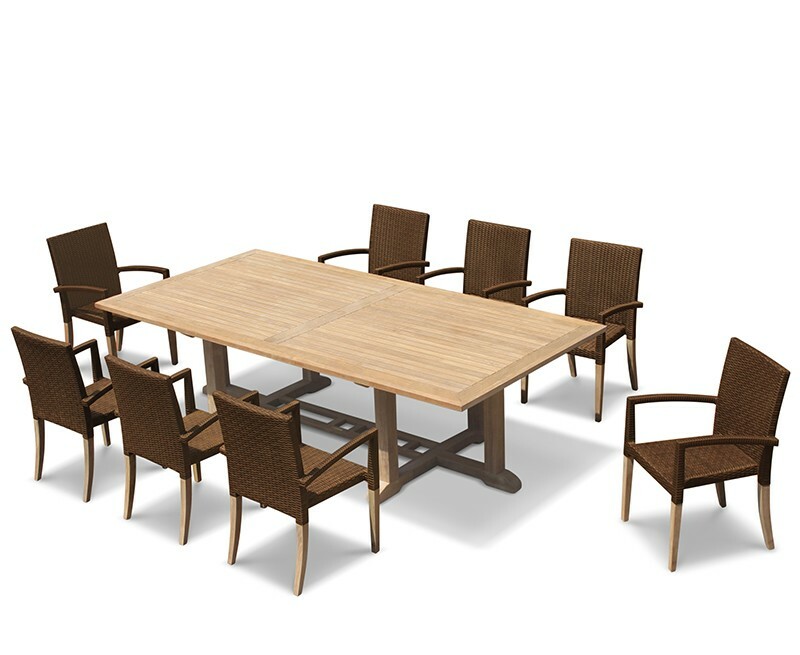 The table is crafted from sustainably sourced A-grade teak using tight-fitting mortise and tenon joints. 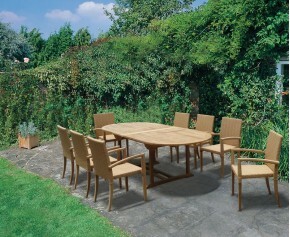 The table top is predrilled for parasols with a pole diameter of 5cm. 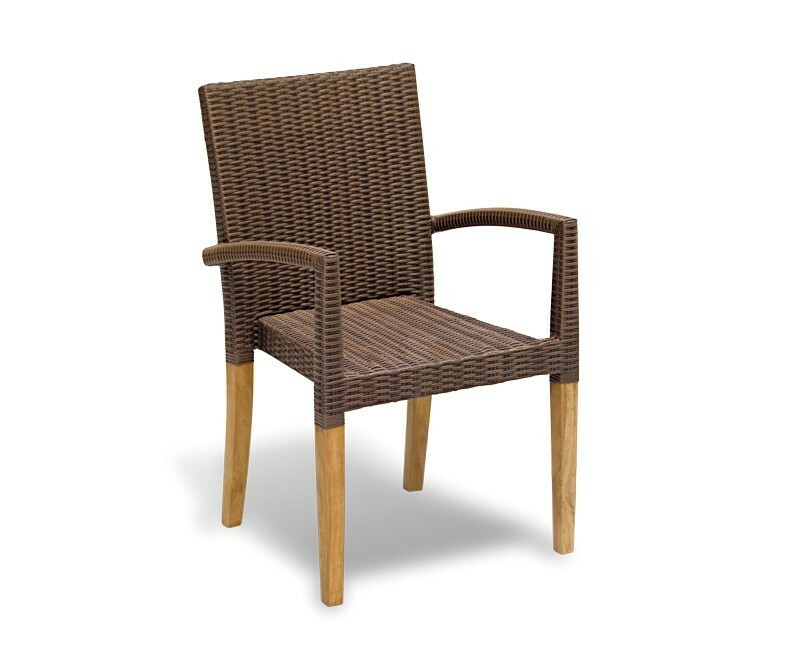 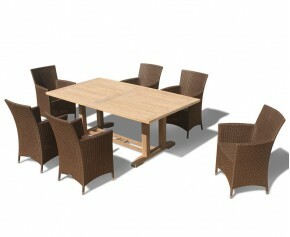 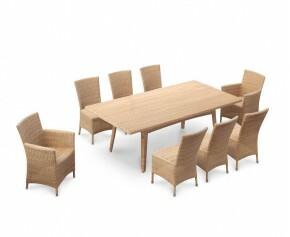 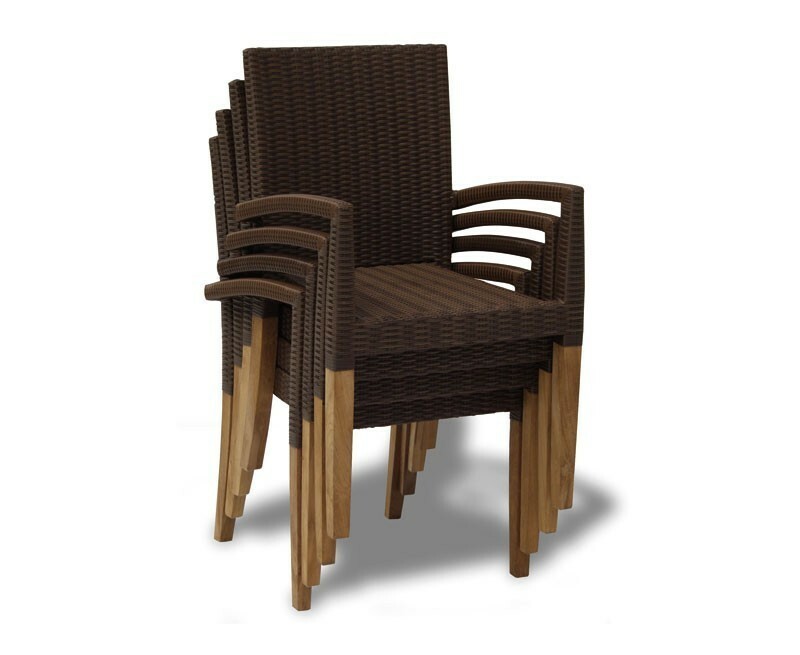 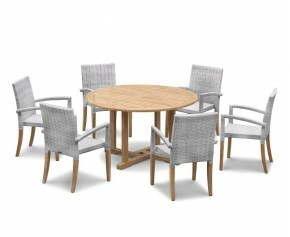 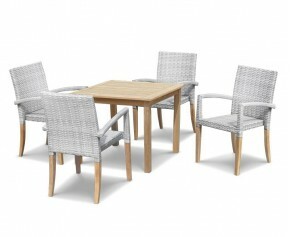 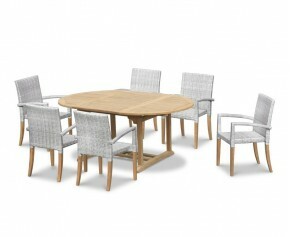 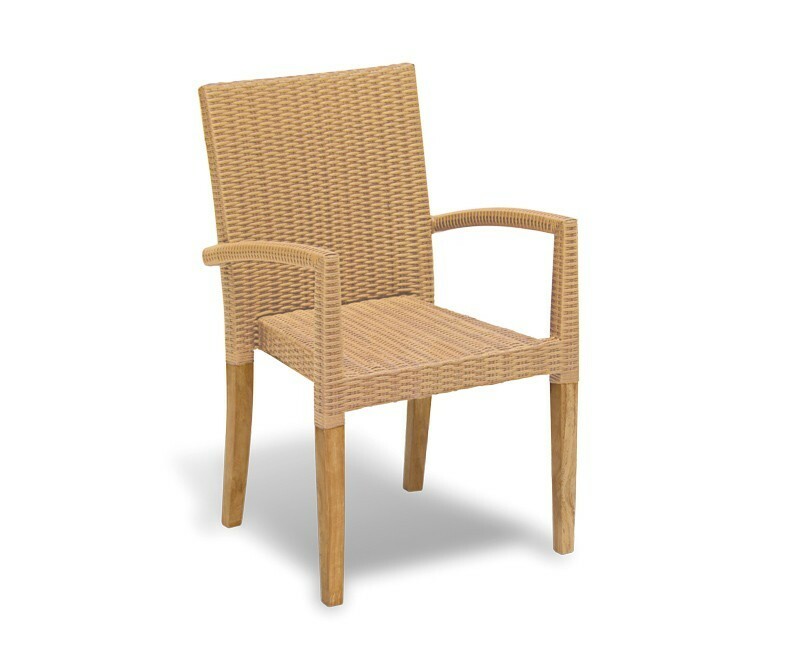 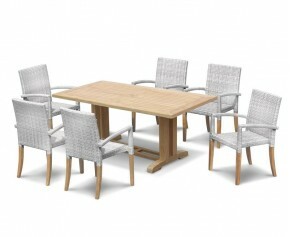 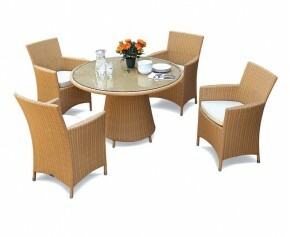 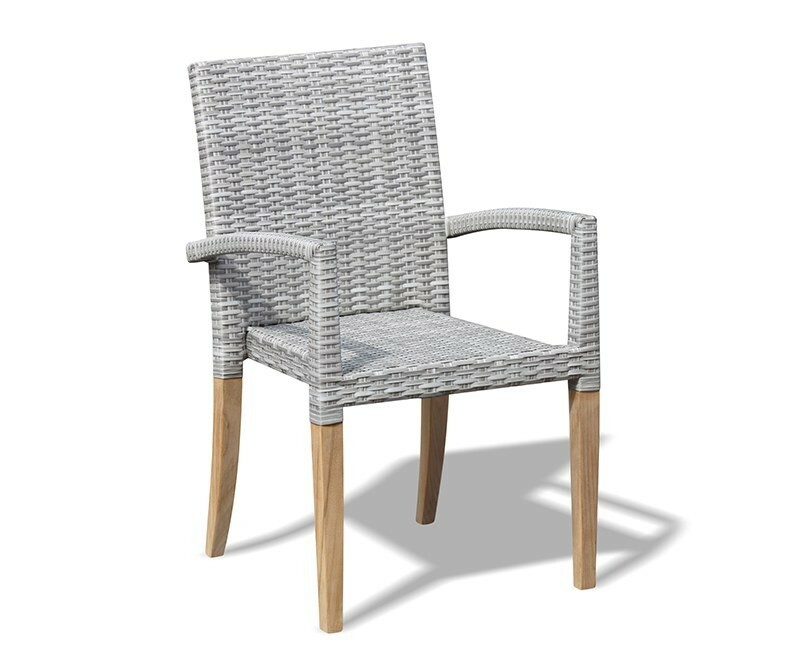 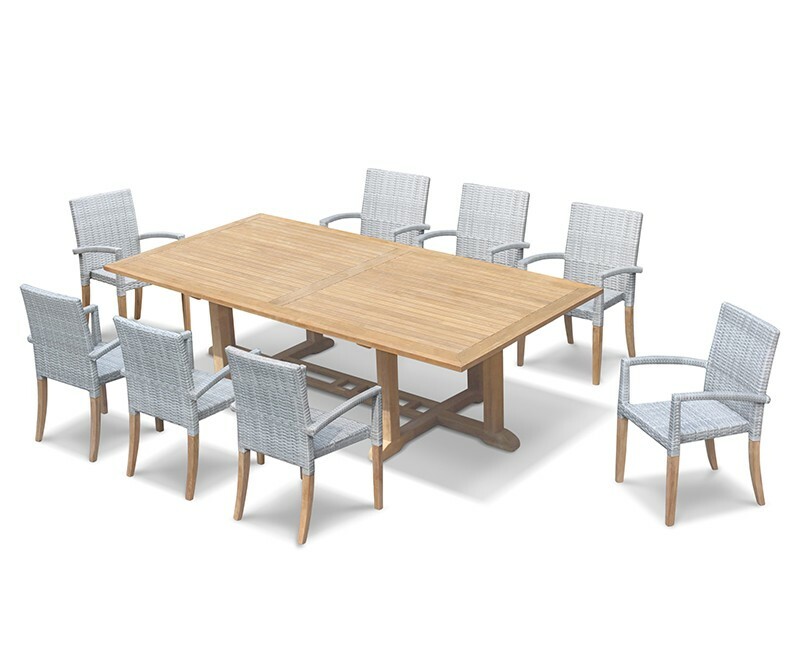 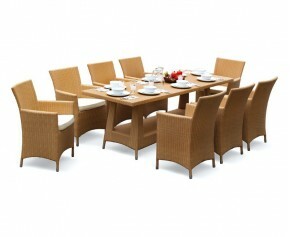 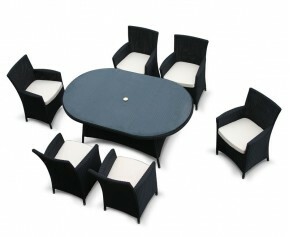 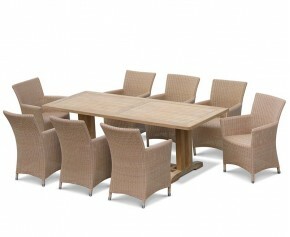 The 8 armchairs are woven with synthetic Rehau Raucord® rattan, offering superior weather and UV-resistance. 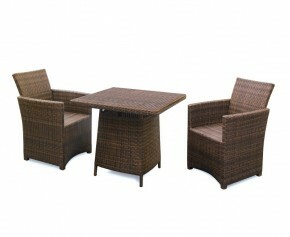 They can be stacked for storage allowing you to reclaim your space. 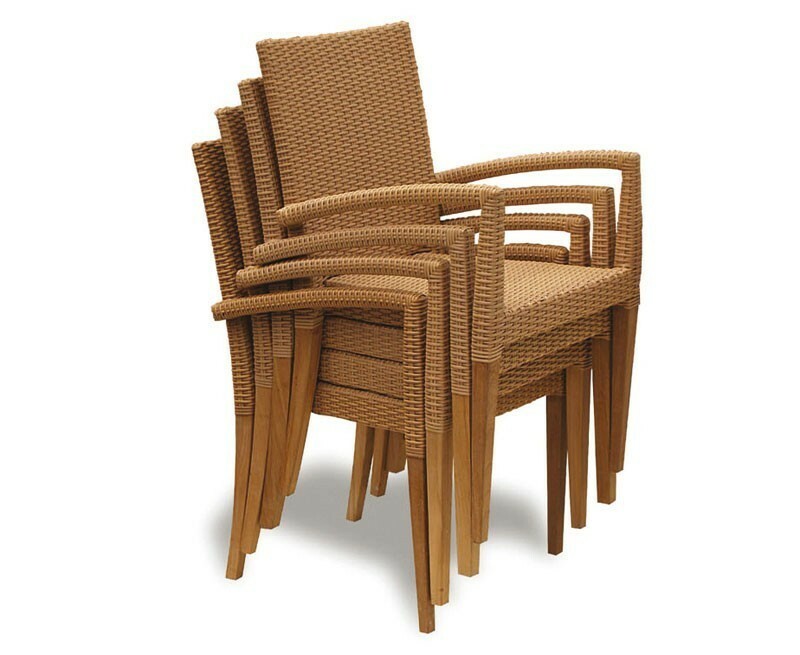 What's more, they're available in either Honey Wicker or Java Brown weave colours – please make your selection from the options above. This low-maintenance 8 seater garden set has been built to last and can be left outdoors all year round no matter the weather.